Kick off your visit on the 11th (Tue): take some stellar pictures from Nai Harn Beach, then take in the dramatic natural features at Phromthep Cape, then tour the pleasant surroundings at Rawai Beach, and finally tee off at Phuket Golf Leisure. To find reviews, photos, maps, and tourist information, you can read our Rawai trip itinerary app . Charlotte, USA to Rawai is an approximately 27-hour combination of flight, bus, and taxi. You can also do a combination of bus, taxi, and flight; or do a combination of train, bus, flight, and taxi. The time zone difference moving from Eastern Standard Time (EST) to Indochina Time (ICT) is 12 hours. Traveling from Charlotte in September, expect a bit warmer with lows of 74°F in Rawai. Wrap up your sightseeing on the 12th (Wed) to allow time to travel to Bophut. 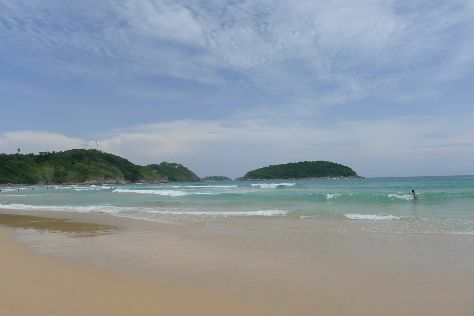 Explore hidden gems such as Thong Takhian Beach (Silver Beach) and Maenam Beach. 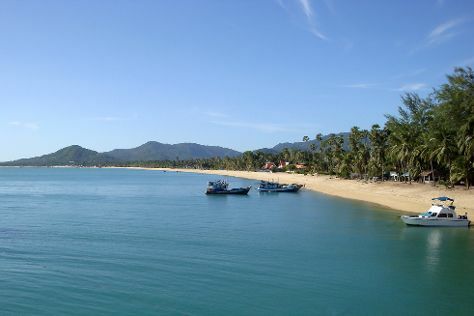 Your itinerary includes some good beach time at Malibu beach and Lamai Beach. Spend the 12th (Wed) among aquatic life with a scuba or snorkeling tour. There's still lots to do: stroll through Chaweng Beach and explore the striking landscape at Hin Ta & Hin Yai Rocks. To find maps, other places to visit, more things to do, and more tourist information, you can read our Bophut online journey builder . Do a combination of taxi, bus, and flight from Rawai to Bophut in 3 hours. Alternatively, you can do a combination of taxi and bus; or do a combination of taxi and bus. Expect somewhat warmer evenings in Bophut when traveling from Rawai in September, with lows around 80°F. Wrap up your sightseeing on the 14th (Fri) to allow time to travel back home.